When I sat down to create this project, I intended to miniaturize an existing pattern. I quickly realized that with sock weight yarn this would be a LOT of knitting, so in the interest of speed and a looming deadline, I opted for double knitting yarn. This pattern mimics the construction steps for a full-size sweater, with set-in sleeves knit from the top down. 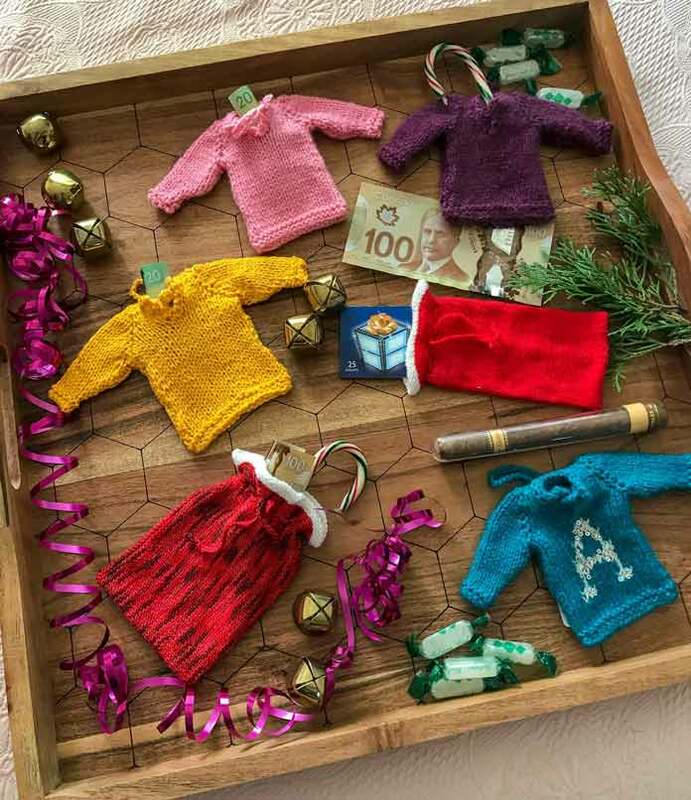 To have even more fun with this project, use yarn scraps to make ‘ugly sweater’ ornaments!